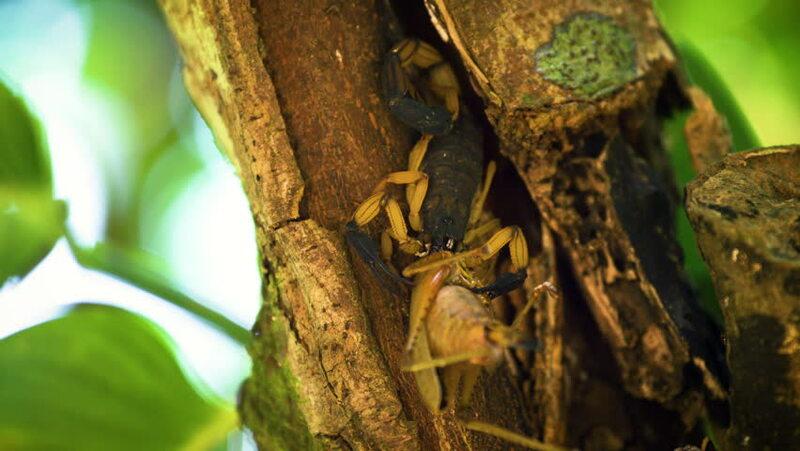 A macro shot of a scorpion eating a grasshopper in the jungles of Costa Rica. Shot in 5K. hd00:09Close up of a green day gecko (Phelsuma sundbergi) on a palm tree filmed on La Digue, Seychelles with a nice bokeh.